Travel tidbit: Hida Beef of Takayama, Japan. Hida beef is a treasure of the Gifu prefecture, beside onsen and the Japanese Alps. 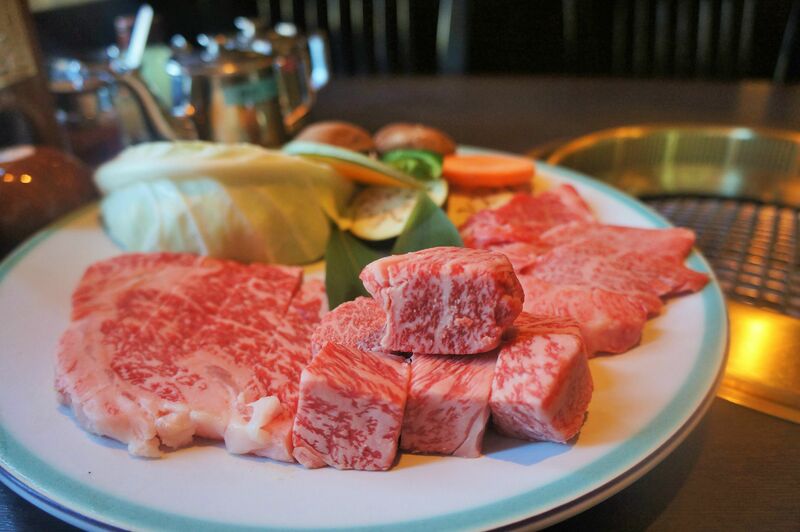 It is widely regarded to have comparable quality to Kobe or Matsusaka beef. 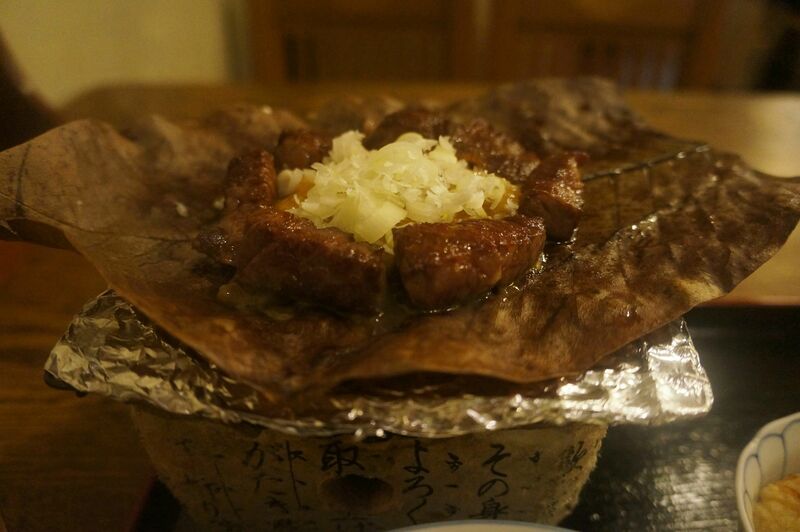 This beef is grilled over magnolia leaf on top of a burning charcoal stove, topped with soybean paste. The texture fits one of those “melt in my mouth” food description clichés, because it is so tender and delicate you are afraid to take the next bite. The taste is an amalgam of the earthy flavor from the leaf, the minimal and slightly fermented miso and of course, the joyful fattiness that just imparted your umami. I had this dish in a small family restaurant named Kotaro, a capacity of 4 tables at most. I was tasting the delight while the other couple talked about how they was recently ripped off in Vietnam. Even that harsh truth of reality couldn’t bitter down the juice. 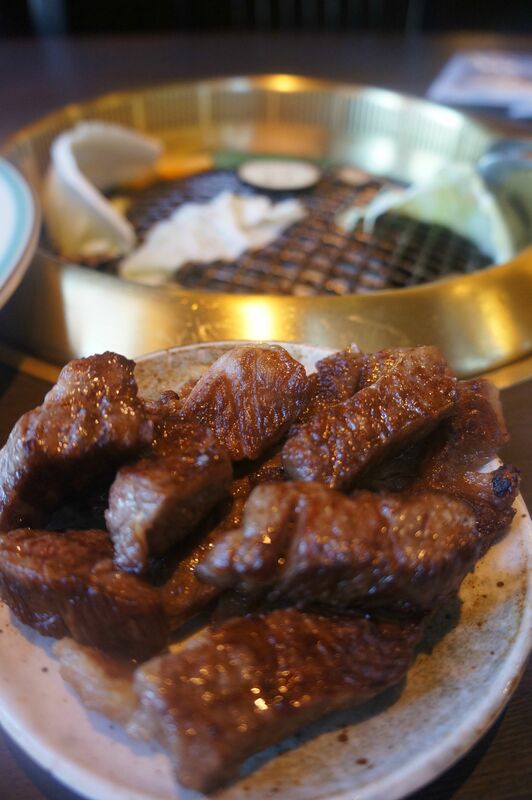 Maruaki is a popular Yakiniku restaurant with a selection of beef at a variety of grade levels (up to A12). Look at the beautiful, sleek marbled patterns! Don’t they sparkle like the first ray of sunshine after a long winter?